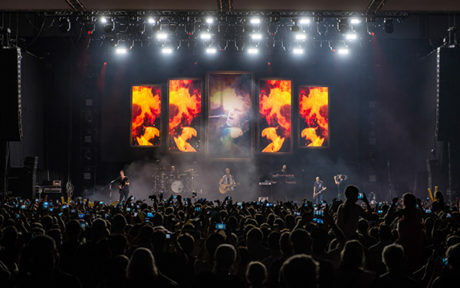 EUROPE – Avolites’ compact but punch-packing new Ai Q3 media server provided the video oomph for Finnish rockers Sunrise Avenue during their recent European festivals tour. 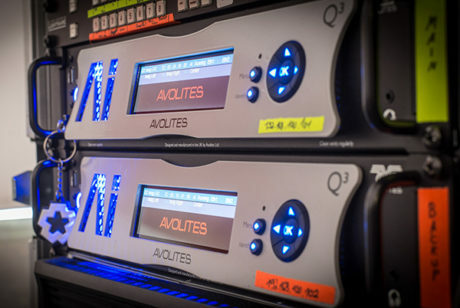 The 2U machine, which supports lossless video playback via Avolites’ unique AiM codec, was powered up by video designer Tim Hornung. The band performed at festivals including the Nova Rock Festival in Nickelsdorf, Austria and the Moon and Stars Festival in Locarno, Switzerland, as well as others in Germany and Finland. 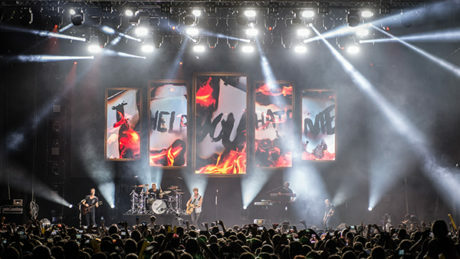 The guys were backed by a large LED screen, displaying a mixture of live camera feeds of the on-stage action and pre-created visuals, which were produced by Lightborne. 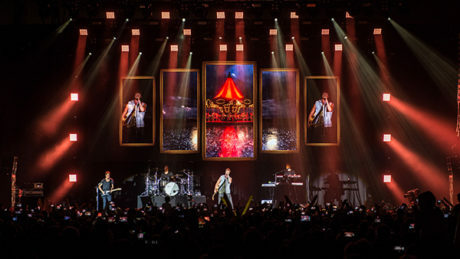 “We wanted to reproduce the look of the band’s recent arena tour, where we had five separate, framed, LED screens hung above the stage,” says Hornung. “To achieve this, we needed to re-programme the visuals to create five virtual screens to be displayed on the one large LED wall that was available to us at the festival appearances. Hornung decided to give the new Q3 a try-out after learning about them from the Avolites team, with whom he has a great relationship. “The design is very nice and I like the fact it doesn’t take up too much space in your rack. But, of course, it’s all about the processing power and outputs,” he continues. “It was obviously important for us to get the least possible delay from the live camera to the screens, and with the Q3 we got nice lip-synced live video onto the LED wall, even though we were running Notch effects through the Q3 at the same time. It made our aim of integrating visual effects and pre-programmed video content with live action and effects simple and effective. Hornung used Notch integration with the Q3 mainly to position the live feed into the virtual frames and blend it with the other content, boosting color for one song and adding abstract effects for another. The Q3 has native Notch support as well as a powerful inbuilt effects engine. Hornung premixed the live camera feed using a Panasonic HS450 vision mixer and sent the PGM and one AUX Feed into the Q3. The servers and the cameras were all synced by a Rosendahl Nanosync. 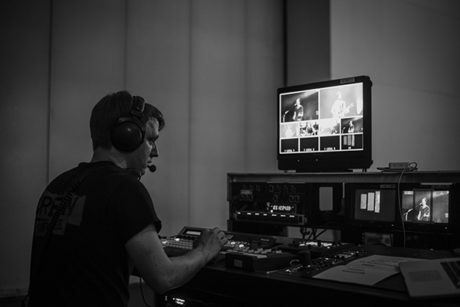 The show was timecode synchronized between the Q3 and Hornung’s lighting control console, networking two Q3 servers – one as main, and one as backup. Launched earlier this year at Prolight + Sound in Frankfurt, the Ai Q3 unlocks 4k playback through a single DisplayPort 1.2 connection with 2 x DVI outputs for HD displays. It supports EDID for all three outputs, configurable via a dedicated front-end UI. “You’ve got all the connections you need at the back of the unit, with no need for additional boxes, which is great,” says Hornung. The Q3 servers were supplied by Zweinulleins GmbH. Sunrise Avenue are touring in support of their new album, Heartbreak Century.